You can create your own custom greeting card or announcement using one of our many professionally designed templates or you can submit your own design for printing. We offer cards for all occasions, from birth announcements, graduation announcements, wedding announcements and invitations and all holiday themed cards. 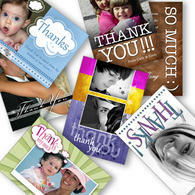 We print on a high quality premium card stock to provide you with rich color images and clear text. The cards include a standard white premium paper envelope. We treat every order with the same high quality for everyone, whether you are a professional photographer or snapshots from your phone. 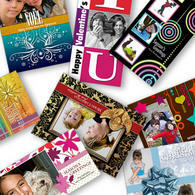 It is very easy to create amazing cards online with our website. Get started today by clicking on the ORDER NOW button.